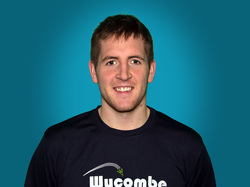 I am the lead coach of Wycombe Performance Centre alongside Daryl Jacobs and the assistant coach at the England Training Centre, here at Badminton Wycombe. After being coached by many of the top coaches, and travelling to Canada multiple times with Nathan Robertson (Olympic Silver Medalist) to coach, I have gained experience and have become passionate about helping others achieve their potential using an up-to-date knowledge of the game we all love. I have represented my country from the age of 11 through the Junior ranks, including appearances at the Commonwealth Youth Games, World Junior Championships and European Junior Championships all at the U19 level in 2008/9 and World University Badminton Championships in 2012. I joined the National Squad in 2012 and spent two years training with the best that England could offer and learning from the National Coaches. I have beaten a world top 25 pair in Men’s Doubles, competed against Lee Young Dae (Olympic Gold Medalist and World No.1), won the silver medal at the England National championships 2015 in Mixed Doubles and I still enjoy competing for County. I look forward to using the experience I've gained to improve any player’s game. Weekdays: I am usually available until 4pm and can coach in the evening (after 8pm), although this is usually more dependent on whether you can book a court. Weekends: Please contact me, as this is dependent on other commitments. Please contact me if you wish to know about rates for larger groups. Please note that the above prices are for Gary's coaching time only and do not cover court costs. Don't forget that Badminton Wycombe offers a special discounted court rate of £7.40 per session for individual (one-to-one) coaching. To find out specific times when Gary is available to coach you, please call him on (07891 933 455) or complete this online form.